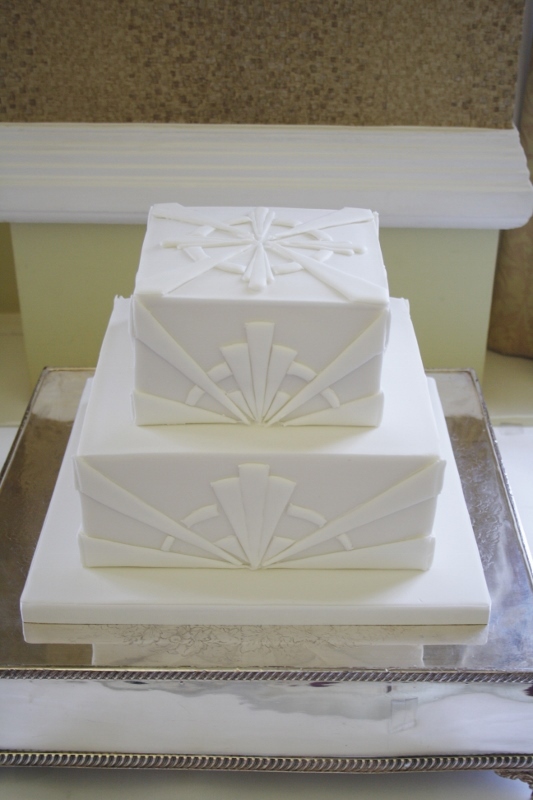 Two tier Art Deco style wedding cake at The Grand Hotel, Eastbourne, East Sussex. 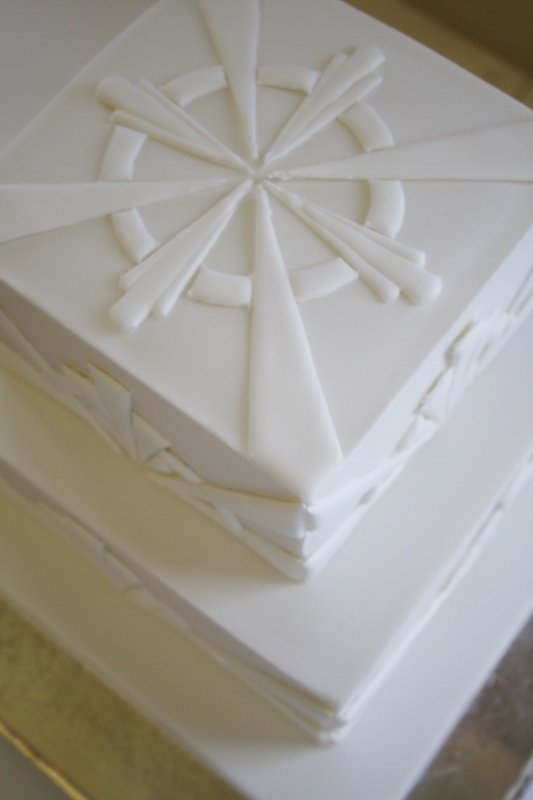 Both tiers finished with sharp edge on a fondant base, decorated with hand piped run out individual pieces of an original design, all in matt white. Base tier of vanilla sponge with whipped Madagascan Vanilla Bean Paste buttercream and Raspberry conserve. Tier one of fresh Lemon Zest sponge with whipped Lemoncurd buttercream. Cake serves 100 finger portions.